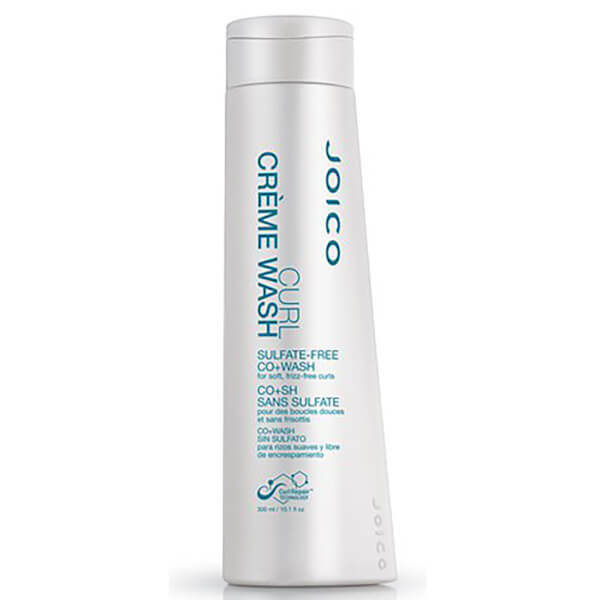 Curly hair is more prone to breakage, so care for it with Joico Curl Crème Wash Sulfate-Free Co+Wash, a cleansing and conditioning treatment enriched with Curl Repair Technology™ to create stronger, bouncier, healthier looking curls. Combining a blend of natural oils, reconstructive proteins and defining polymers, the multi-tasking crème both cleanses and conditions to create softer, more manageable and defined curls. With a no-foaming texture, the formula contains conditioning oils that eradicate excess sebum and leave hair with optimum moisture. Reactivating curls for an enhanced finish, the frizz-fighting formula will eliminate dry, frizzy locks and create elastic, long lasting, curls with a soft and airy texture. - K.N. 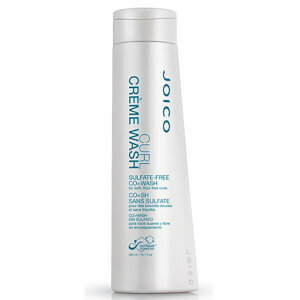 Massage into wet hair and scalp and work through to hair ends. Leave it in for 3-5 minutes and rinse. For medium to thick density hair. Apply after shampoo, leave for 1 minute and rinse out. On medium to thick coarse hair: Use a small amount as leave-in.